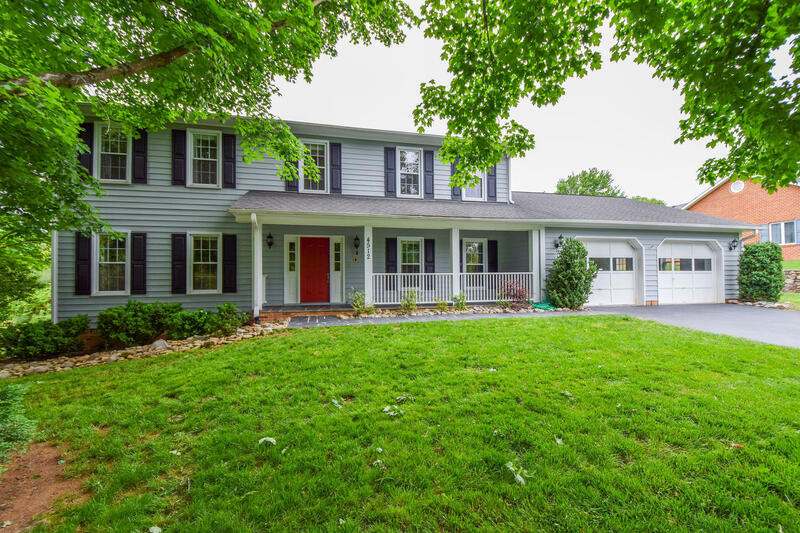 Backing up to Hidden Valley Country Club this updated Colonial features a flat .45 acre lot located on a cul-de-sac. Rocking chair front porch invites you into an open floor plan with a front to back great room open to a large kitchen with sold surface counters and loads of cabinet space-freshly painted. Dining room, 1/2 bath, laundry room and oversized two car attached garage complete the entry level. Upstairs has a large master suite, three more bedrooms and a hall bath. Walkout basement has a front to back family/rec room and bonus space which could be an in-law suite with a kitchenette. Screened in porch and deck lead to a family friendly yard. Freshly painted interior and exterior.